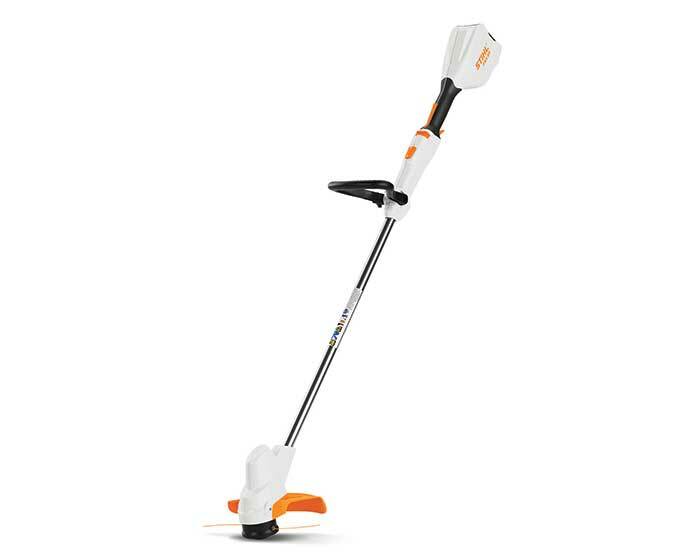 Stihl Trimmer FSA 56 includes an AK 20 battery and AL 101 charger, meaning no fuel, no cord, and no exhaust emissions. Designed to trim 1,640 linear feet on a single charge, the FSA 56 has superior cutting performance. Low vibration coupled with high cutting speeds to complete more trimming in a short amount of time. With easily adjustable shaft length, this trimmer accommodates a variety of users.